QUOTE | “Winning is the exception, and losing can be fun, and anything in between is an adventure, which sets PUBG apart entirely—and in a meaningful way—from almost any other competitive multiplayer game I’ve encountered.” - Tacoma and Gone Home developer Steve Gaynor loves PlayerUnknown’s Battlegrounds. QUOTE | “What we’ve noticed during this generation is that it is less of a case of going out and spending a couple of hundred million and putting a blockbuster on a shelf, as it is a case of creating a small game that gamers latch onto because it is great to watch, or there are awesome screen clips that you can share with others.” - Microsoft head of first-party publishing Shannon Loftis explains why the Xbox One strategy these days is a little more PlayerUnknown’s Battlegrounds, a little less Ryse: Son of Rome. QUOTE | “You can’t just go, ‘We’re an esport. It’s ready!’ The game has to be competitive, it has to be bug free, and it has to work. So many games do go, ‘Oh, we’re an esport.’ But it’s like, ‘No, you’re not. 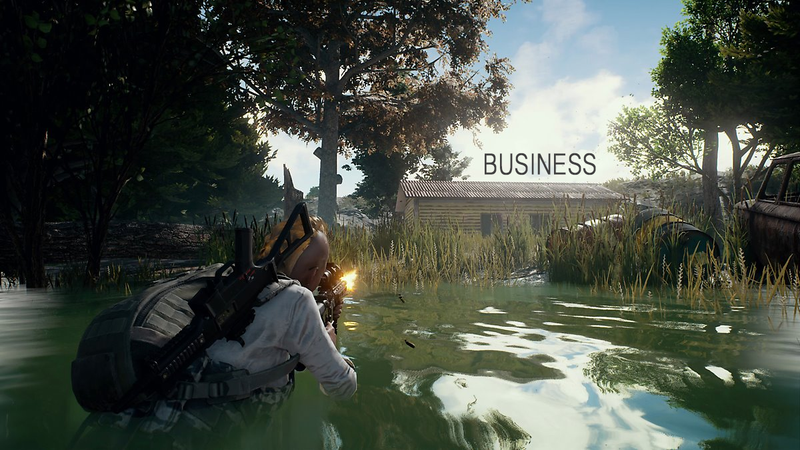 Calm down.’” - Brendan “PlayerUnknown” Greene explains why the PUBG Invitational at Gamescom was just the first baby step on the game’s long journey toward becoming an esport. QUOTE | “We want to promote non-discrimination, non-violence, and peace among people. This doesn’t match with video games, which are about violence, explosions, and killing. And there were have to draw a clear line.” - International Olympic Committee president Thomas Bach doesn’t sound too eager to have esports featured at the Olympics. QUOTE | “Customers have the opportunity to come into our stores and choose the accessories that they would like to bundle with their hardware, or buy online the pre-determined bundles we have put together to help make the shopping experience more convenient.” - GameStop senior director of merchandising Eric Bright says bundling in-demand items like the Super NES Classic with pricey, tangentially related collectibles is simply good customer service. QUOTE | “The SNES hardware is deemed a vintage collectible, so please exercise extreme caution when using the Product and make sure there is fire extinguishment equipment nearby.” - Capcom and iam8bit warn customers that the new $100 playable Street Fighter II Super Nintendo cartridges are a fire hazard if actually played. QUOTE | “Like it or not, this is an ‘us, the OW community problem’ and not just an ‘OW team problem’. For better or for worse, we’re in this together. We’re working hard to make changes. I hope you all do too.” - Blizzard’s Jeff Kaplan says players have to be part of the solution for dealing with toxic behavior in Overwatch. QUOTE | “Please, please, don’t buy [Darkwood] through any key reselling site. By doing that, you’re just feeding the cancer that is leeching off this industry.” - Developer Acid Wizard Studios explains why it distributed a clean copy of its new game Darkwood specifically for people to pirate. QUOTE | “Too often do I find myself 28 hours into a game thinking, ‘Wait, what was I doing again? Oh right, avenging my family’, with all the enthusiasm of a person who has just walked into their kitchen and forgotten what they intended to get.” - Ubisoft Montreal scriptwriter Kim Belair digs into how the game industry’s penchant for high stakes stories runs counter to the appeal of good open-world games. QUOTE | “Usually what happens is a team will spend a development cycle creating the game, and then at the very end go, ‘Cool, let’s have someone take a look at this.’ Then when they get suggestions like, ‘I can’t do this part’ or ‘I had trouble with this part,’ you’re left with years’ worth of work that you think, ‘Well, we can’t change it. It’s too fundamental.’” - Way of the Passive Fist developer Jason Canam says it’s imperative for developers to start thinking about accessibility at the very beginning of a project. QUOTE | “There’s this red tape and this bureaucracy that goes along with being a part of any team. You’re always like, ‘Ok, what’s that person going to think about this idea? Should I even share this idea with them? Should I spend the hour it takes me to go explain this on an email or should I just do it?’ Making Songbringer was one of the most rewarding and amazing experiences because I have that complete swift path to creation. There’s nobody stopping me.” - Nate Weiss, whose Songbringer just launched on PC and hits PS4 this week, may not be much of a team player.